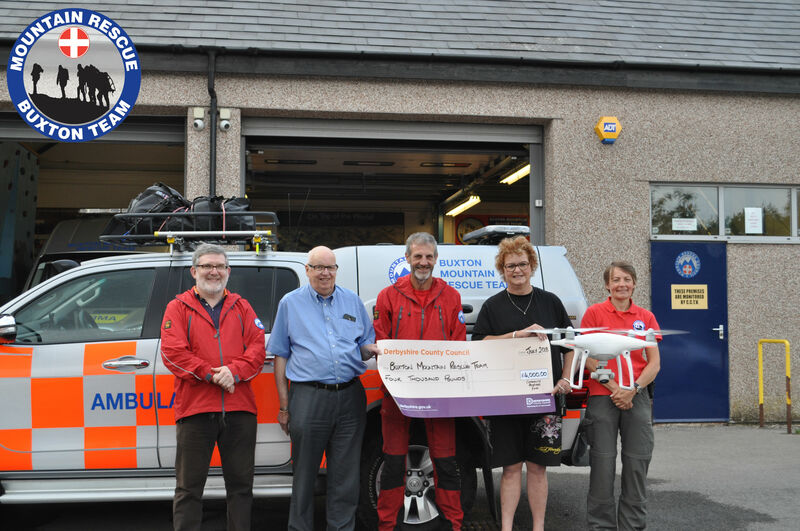 With the help of Pure magazine’s campaign, a number of generous people who donated through our website and all manner of kind folk, including a significant donation from Derbyshire County Councillor Jim Perkins’s Community Fund, we have surpassed our own expectations and have raised enough funds to procure two operational drones for use in of search and rescue with Buxton Mountain Rescue Team. Initially these drones will be used entirely for training. A couple of months ago we hosted a multi-team exercise and made lots of new friends as well as catching up with old ones. This exercise simulated looking for a vulnerable young person and the drone team were successful in locating the casualty. The multi-team exercise introduced us to a few of our neighbouring PDMRO members who also shared an interest in the use of drones within Mountain Rescue. One of these was Brendan O’Neil from Derby MRT. Since the event Brendan has been working with Carney Turner from BMRT to develop a training program for both teams that will enable the safe and progressive use of drones in our individual mountain rescue teams. We won’t just find lost people who get caught out by bad weather. The drone will be used for lots of situations we haven’t even thought of yet. From crime scenes to helping find safe routes off the hill. The technology should be a valuable asset to our organisation and has started to prove itself in many areas around the world. Introducing new technology like UAVs into the mountain rescue organisation requires us to be as well trained and as safe in our flights as a commercial drone pilot. Brendan already has a lot of experience and air time His professionalism and passion have provided a real lift for joint development of using this tool. Carney has been using drones for a couple of years in rural parts of the world making films about farming. He saw how useful they were and wanted to introduce them into BMRT last year. His proposal was accepted by the committee in September 2017. We have been fundraising since then for what we consider as ‘Phase 1’ of the operational use of UAVs. Working with Derby MRT we plan to train six pilots within BMRT and two with Derby MRT. As Brendan is already qualified, this gives the PDMRO nine operational drone pilots, potentially within the next few months. After some research and advice we have chosen www.ruas.co.uk and they have been fantastically helpful in tailoring a package to help our pilots and the team achieve CAA accreditation. The next steps for us is to train our pilots to CAA standard and use the drones effectively, legally and with public liability insurance. We need to use the drones in the field and see what they can and can’t do, what the limitations are and build on the positive opportunities they can create. A lot of people ask what about night vision? What about the future? 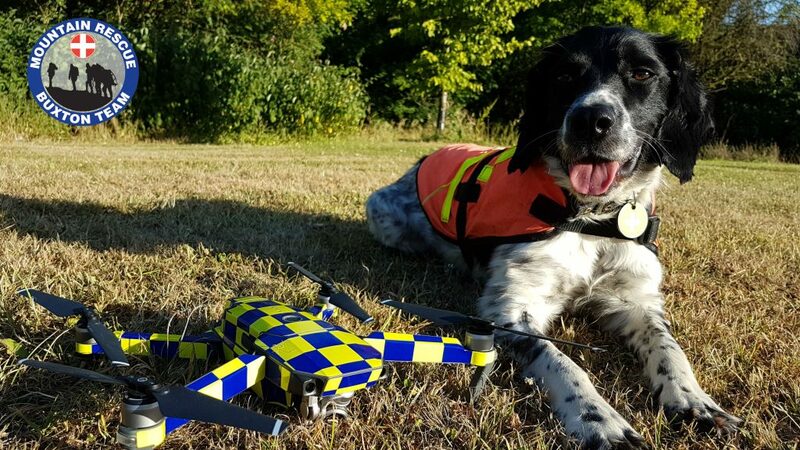 We are sure the use of UAVs will only add to our ability to help people or animals who really need it. The technology is only going to improve and that’s a given. Battery life, cameras, facial recognition software, environmental capabilities. What we want to do is do it right. Right from the beginning. That is what we are definitely doing with your help. The donations so far have taken our total over the initial target of £6000 but we will be keeping the fund open at the team’s MyDonate page as we fully expect to purchase further equipment in due course. Thanks for all the support so far and we will keep you up to date with our progress as we learn and move onto ‘Phase 2’.